It’s a fact—every aspect of real estate is confronted with the potential for environmental risk and liability issues. It is Alliance's mission to help our clients manage those issues. When challenges arise, we are extremely effective in turning those liabilities into assets. Our project team professionals function as more than just savvy technical consultants. We are business partners to many of the region’s leading petroleum companies, construction firms, developers, financial institutions and property managers. 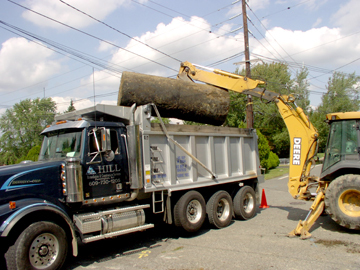 We partner with our clients to make deals happen, and whether we’re performing due diligence, managing storm water plans, submitting an air permit application, operating a remediation system, or cleaning up contamination, Alliance consistently saves our commercial clientele millions of dollars in business transactions, remediation costs and operating expenses.